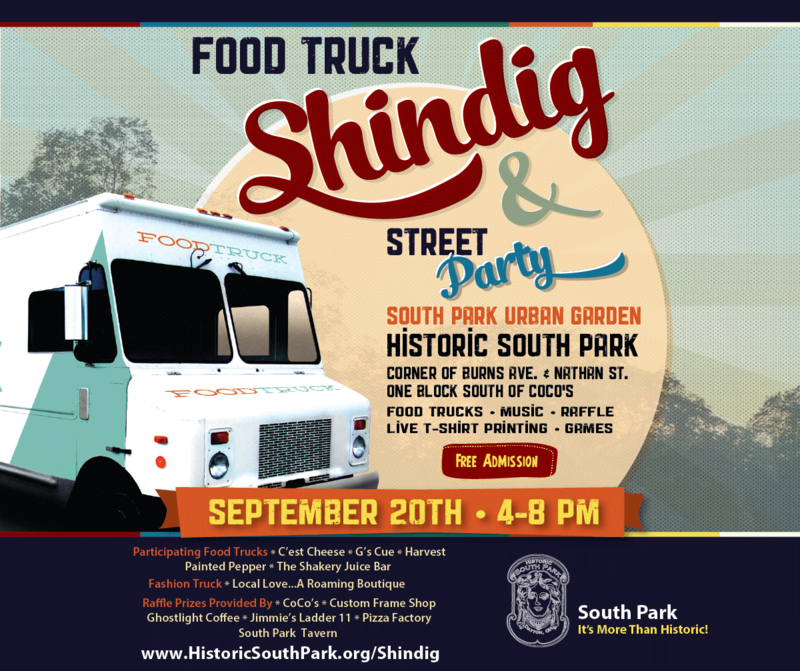 Join us for our first-ever Food Truck Shindig & Street Party. Mark your calendars and come on over to the South Park Urban Garden at the corner of corner of Burns Ave. & Nathan St. (One block south of Coco’s) and enjoy the fun! We’ll have food trucks, a fashion truck, an iPod® music battle, a raffle with more than $500 in prizes, live t-shirt printing, games and fun for the whole family. Corner of Burns Ave. & Nathan St.
Be sure to check our website often for updates about this event. Funding for this event was provided by the City of Dayton through a mini-grant award, the membership of Historic South Park , Inc and the donors listed above! Click here to download a poster (11×17) for the event! Thanks to our media sponsor WYSO for their support!